Smooth, tight, and youthful looking skin is something most people strive for. There are many different ways to achieve healthy looking and feeling skin, from facials to DIY masks, it is easy to find something that leaves your skin radiant. While DIY face masks and store-bought face washes can be handy and make subtle differences, there are ways to get results that are more dramatic and last longer than the store-bought products. The beauty of it all is different skin concerns and/or blemishes can be targeted with professional treatments. At The Skin & Body Spa, we offer a huge variety of facials, clinical facials, chemical peels, and other treatments that can leave your skin glowing and healthy. While facials are a typical face treatment, a chemical peel is something you may not know much about. But they can do wonders and leave your skin feeling better than ever. 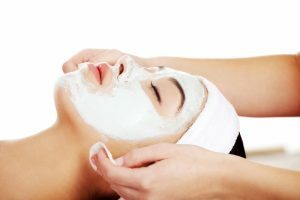 In this blog, we will give you more information about chemical peels and what we offer at our day spa. Read on to learn more. Deep wrinkles and sagging skin may not respond to chemical peels as well. Chemical peels generally offer better results for those with fair skin and light hair. However, those with darker skin may see good results depending on the type of chemical peel they get and the problems being targeted. One of our licensed and experienced skin care professionals can help to determine if a chemical peel is right for you and your skin before receiving the treatment. As we already mentioned, chemical peels can help in a lot of different areas. The chemical solution used can differ based on the skin concerns you want targeted. This could be anything from wrinkles to acne, but most chemical peels will leave your skin with a more youthful appearance, even complexion, and smoother texture. There are many benefits to a chemical peel. As a non-surgical option for younger and healthier skin, it is a great way to get a makeover without having to undergo an intense operation or a long recovery time. If your skin is wrinkled, sun-damaged, or has an uneven skin tone, a chemical peel can help to rid your skin of these blemishes, helping to give you a younger look. Along with these peels, we also offer smoothing body peels and the option of adding a retinal booster. To figure out which peel will work best for you and to get a pre-treatment kit, make sure to schedule a peel consultation with our knowledgeable staff. We can help you choose a peel based on your skin and desired results. After getting a chemical peel (depending on the type of peel you get), sunburn like symptoms will be present. Once the skin peels, you can enjoy the results of smoother and younger looking skin. Your skin takes about three to seven business days to recover and treatments can be repeated every few weeks until you reach your desired look. A chemical peel could be the procedure you need for skin that you love. If you have tried different facials, beauty products, and DIY face masks but are not seeing the results you want, it is time to try something more advanced. 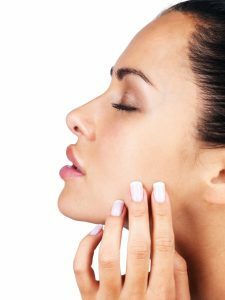 Chemical peels could be perfect options for you. If you want to learn more about chemical peels and if you could benefit from one of these treatments, contact The Skin & Body Spa today. We can help find the right treatment for your skin and desired results.